Yesterday, Courtney told you her three tips for traveling in Africa. 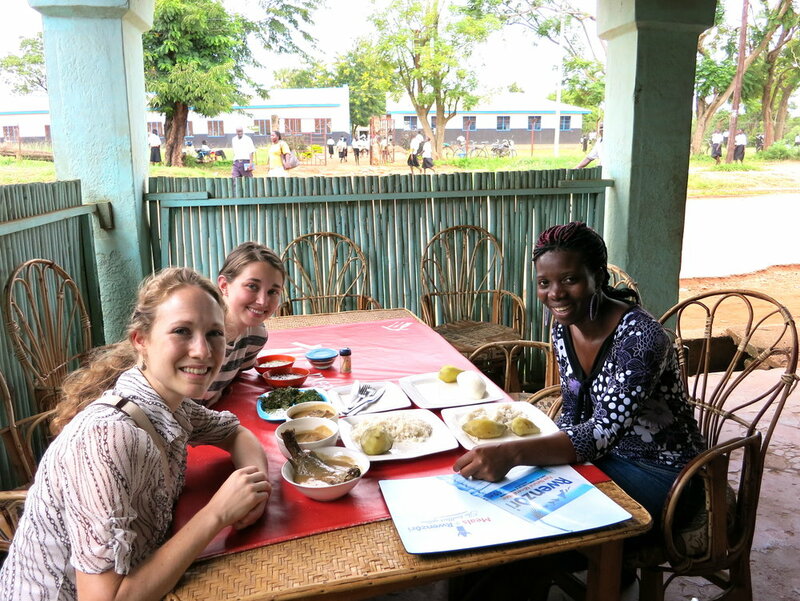 Today are UNC intern has some packing lessons learned from her time in Uganda. They are quite entertaining. Check them out! Wetwipes. Showers can be few and far between and often will consist of a bucket of warm (if you're lucky) water. These are nice to freshen up with. Ziploc bags. Can be used to keep bugs off of food, shampoo from leaking all over your bag, or bigger ones for keeping wet or dirty clothes separate from clean. Underwear. Always pack more underwear than you think you will ever need. It doesn’t take up a lot of space in your luggage and it’s always the limiting factor in laundry. Headlamp. Hands-free is more useful than a regular flashlight when trying to cook/eat/get dressed/do anything in the pitch dark. Water Purifier. Some purifying drops can take up to four hours before it’s safe to drink, which is not helpful if you are hot and thirsty. Spring for the purifier that is quick and easy. Guilty pleasure snacks. The food you always crave (chocolate, peanut butter, candies, etc…)—bring it. Bring two. You won’t regret it. Tall socks. I’m talking about those mom length socks that aren't quite to the shin but are definitely taller than ankle socks. These will come in handy when there are red ants around to tuck in your pants. Again, a noteworthy fashion statement. Contacts. It is really hot, dry, and dusty. I went through contacts faster than the usual two-week stints at home, so bring extra. Coffee packets. In Africa you will find NesCafe instant coffee. If you're a coffee snob, you will want to bring packets of Starbucks Via or something similar.